This convertible semi-flush features a smooth flowing design with metalwork finished in oil rubbed bronze and a beautiful light amber glass shade. Includes 6-ft of chain and 10-ft of wire for easy conversion to a pendant. 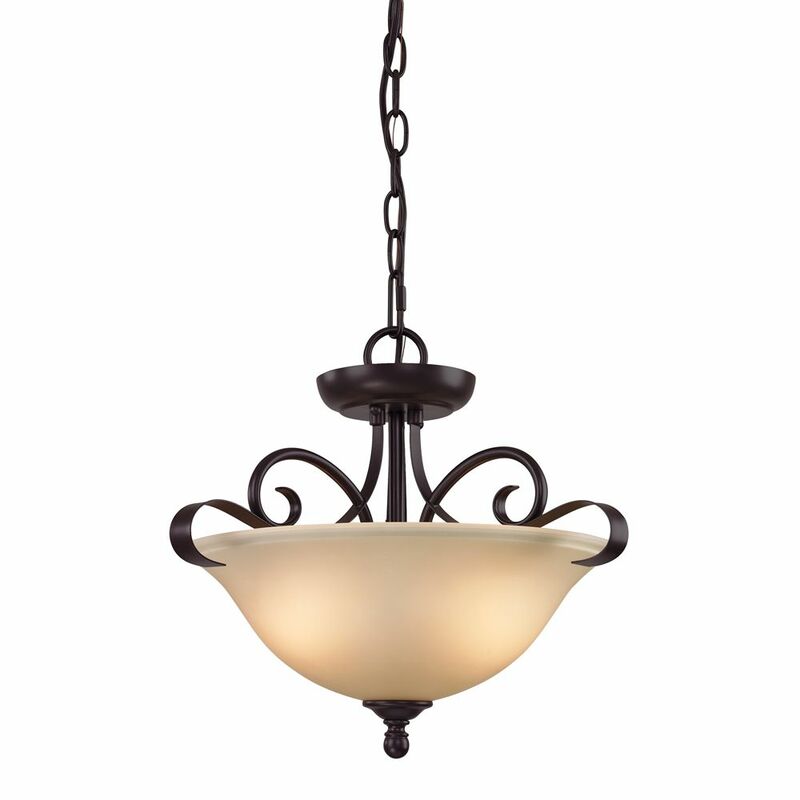 2 Light Semi Flush In Oil Rubbed Bronze This convertible semi-flush features a smooth flowing design with metalwork finished in oil rubbed bronze and a beautiful light amber glass shade. Includes 6-ft of chain and 10-ft of wire for easy conversion to a pendant.